You spend both time and money to make your family healthy and happy in your home, but have you forgotten something you can’t see? There are many air purifiers on the market, however we stand by AtmosAir Solutions for our customers and ourselves. AtmosAir eliminates mold, controls growth of bacteria, and the spread of airborne viruses plus reduces airborne particles and germs that make it past normal air filtration. The air we breathe contains contaminants that build up inside every home — and energy efficient homes often have the lowest air quality because ventilation is poor. In fact, indoor air quality is such a big problem that the Environmental Protection Agency calls it one of the top health threats today. AtmosAir offers a revolutionary, patented technology that can quickly fill your entire home with crystal clear, purified air, and keep it that way for only pennies a day! Rigorous, independent testing confirms that AtmosAir™ reduces or eliminates the toxins that can cause disease and illness. 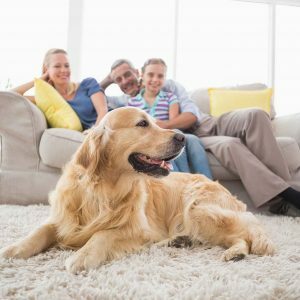 Your indoor air environment will be virtually free of odor, mold, dust, pollen, bacteria, viruses, pet dander, chemical cleaning compounds and more — so every breath tastes as crisp and clean as pure mountain air. Best of all, AtmosAir™ uses no harsh chemicals, is nearly maintenance-free and creates no unwanted byproducts. The solution is simply genius. AtmosAir™ technology employs science pioneered by Albert Einstein himself. Bipolar ionization has been applied in new, state-of-the-art systems that can spread ionized oxygen clusters throughout a room or home. These ionized oxygen clusters attach to airborne pollutants and rapidly drop them from the breathable air in your home. More than 95% of all airborne pollutants are eliminated from the air your breath in just 30 minutes. An AtmosAir™ system significantly eliminates the pollutants that can trigger asthma and allergies. It can also provide the same efficient treatment for air polluted by secondary smoke. Lingering odors from cooking, kitty litter, trash and chemical cleaner will be eliminated at the source. Don’t cover up household odors — blow them away in a breeze of AtmosAir™. You want only the best for yourself and your loved ones. When you install an AtmosAir™ purification system by EcoMech Heating and Air in your home, you make it possible with every breath you take. Give us a call today and ask about it! AtmosAir is budget friendly. It’s a healthy choice for you and your family to breathe easy and healthy air. 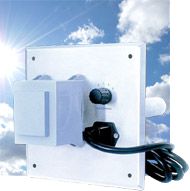 EcoMech also installs AtmosAir Solutions in commercial buildings and offices. Give us a call today to learn more about keeping your home healthy with AtmosAir Solutions.